Carol Cobb artwork printed on canvas is encased in a slender acrylic casing. This lamp not only provides illumination, but also adds an artful display on any table. 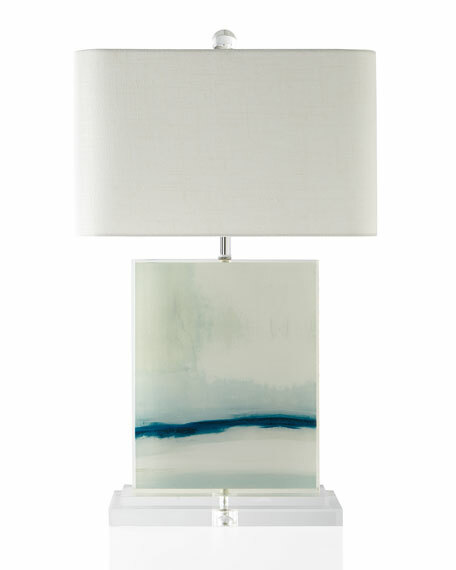 Table lamp is handcrafted of printed canvas, acrylic, and steel. White linen shade, 18-16"W x 10"D x 11"T.
Overall, 18"W x 10"D x 30"T.
Base, 14"W x 6"D x 1"T.